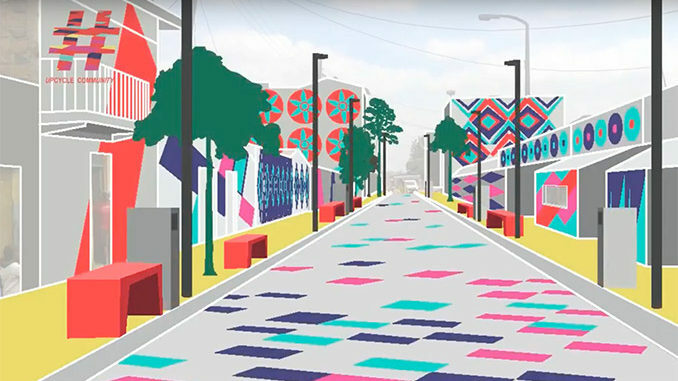 UPcycle commUNITY campaign converts the waste of the Dandora dumpsite into the community wealth: the waste is upcycled into bricks for pedestrian-friendly streets in Nairobi. Part of the Model Street project, bringing Making Cities Together, Dandora Transformation League and UN-Habitat together, it upgrades a previously grimy street in Dandora estate into a colourful, safe, inclusive and vibrant public space, rooting out the crime that once used to reign Dandora streets. UPcycle commUNITY campaign aims to turn the nightmare that Dandora dumpsite represents for most of its residents into assets. Do you ask how? We will transform the waste into bricks for pedestrian-friendly streets, improving the living standards within Dandora community through several ways: UPcycle commUNITY will contribute to create a network of colourful, vibrant, safe and clean public spaces, mitigate environmental and health risks of the landfill (not only on its surroundings but also larger area as the contaminated Nairobi River skirting the dumpsite flows further until the Indian Ocean!) and foster social cohesion and sense of community ownership of the public space. Moreover, new income-generating opportunities will emerge in Dandora, where high unemployment rates – especially among the youth – have been major cause of crime. Please help donate to assist UPcycle commUNITY in reaching their goal to transform a street in Nairobi.